Why do mothers seem to “get” social media better than CEOs? The correct answer, as the title of this post would indicate, is Moms! There is much that moms can teach the C-Suite about many topics, but for the sake of this post, I will focus on the practice of blogging and social media engagement. As a new father, I have seen the amount of time and energy that goes into the demanding job of being a stay-at-home mom. In the case of my wife, her day-job boss is much more demanding and impatient than mine. In fact, it is not even close! 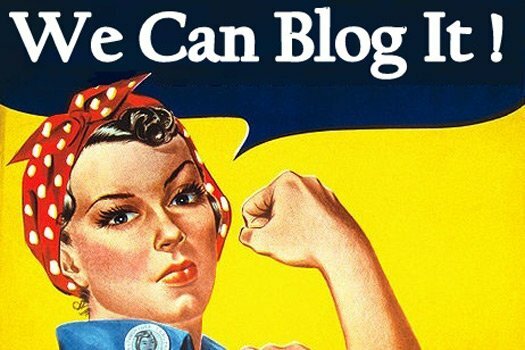 Kudos to all the blogging mothers who are able to balance the demands of child rearing but still find the time – and energy – to blog! The related Nielsen Women of Tomorrow study notes that “Social networking is connecting women across the globe, broadening her circle of influence and becoming an indispensable tool for solving problems, asking questions, and building the community.” It is has been interesting for me to write this post and learn about the reasons why mothers blog. The following offer some of the motivations and misconceptions. In contrast to mothers who blog, consider that according to IBM’s biennial survey of CEOs from around the world, just 16 percent of CEOs are using social media to connect to customers. Tim Dyson, a PR industry executive, notes in his blog post from last year that just four Fortune 100 CEOs have Twitter feeds and that just nine Fortune 100 CEOs make some use of Facebook accounts. CMOs don’t fare much better. My friend and former colleague Willem Smit questioned last year whether CMOs had joined the Twitter celebration. He notes that of the top 25 brands according to Interbrand, only half have CMOs with a clearly identifiable Twitter account. Compare these stats on CEO and CMO social engagement to this infographic showing the social activity of digital moms! Sure, understandably there are huge time demands and pressures on senior executives (though the same can be true for mothers, and I would argue that it is the mothers who have to put out more emergencies in the middle of the night in the form of feedings than senior executives who don’t consider their day-time job to be parenting!). Absolutely, the context is quite different between the responsibilities and job descriptions of stay-at-home parents and chief executives. That said, like the many mothers who have seen the light on social networking, wouldn’t it be worth the time and energy for senior executives to tap into what their consumers are thinking and to leverage such tools for engagement and problem solving? I would be quite interested in hearing the perspective of others to this question.